Last time we were in Positano, we stopped into Ristorante Max‘s for dinner. One of our favorite things we had here was the mozzarella stuffed squid. We were always taught that cheese doesn’t go with fish, but this is apparently an exception because mozzarella doesn’t overpower the flavor of the seafood. We wanted to recreate the dish while we were still in prime tomato season, so we ordered some fresh squid and mozzarella. It was perfect for the end of the season tomatoes and such an easy appetizer! 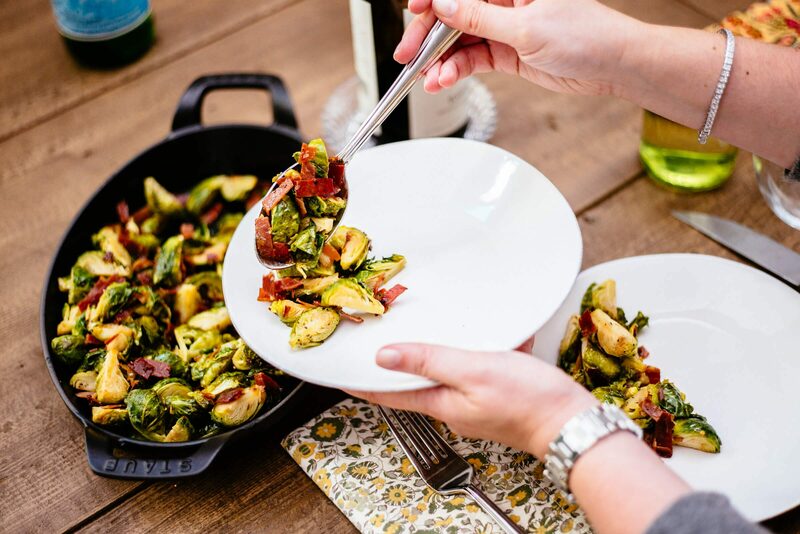 We heated up our favorite Staub square grill pan (c/o) until it was piping hot. This pan is great for when it’s too hot or cold outside to use the gas grill. After we cleaned the squid (see our how to video here), we tossed the tubes in olive oil, salt, and pepper, and stuffed each tube with small pieces of mozzarella. We like to use ciliegine balls. It makes for an easy size to stuff. 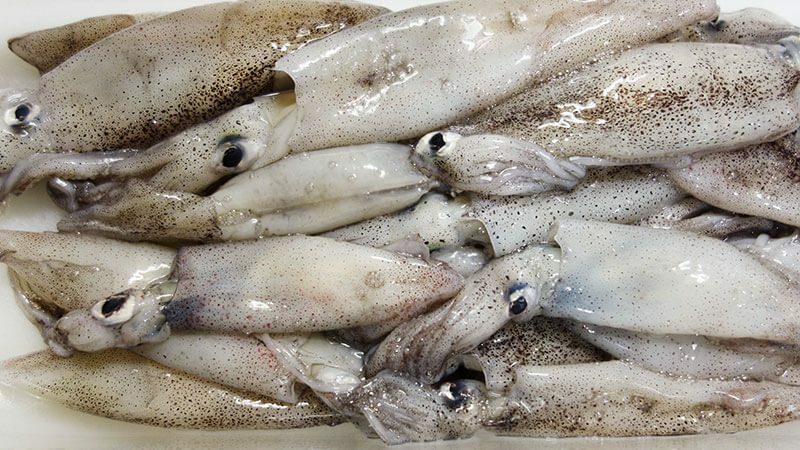 You can cut them in half if your squid are extra small. We also like to use these in tomato and mozzarella salads. We secured the squid closed with toothpicks and they were ready for the grill! We laid each squid down on the pan so that it was perpendicular to the direction of the lines on the pan. With the deep ridges, it gave us some amazing grill marks. We also tossed our cherry tomatoes in the pan just to slightly char and make a perfect sweet pop in the mouth! We plated it on a dark plate to make the colors of the squid stand out and topped it off with a pinch of finishing salt. It for sure brought us back to our time on the Amalfi Coast! 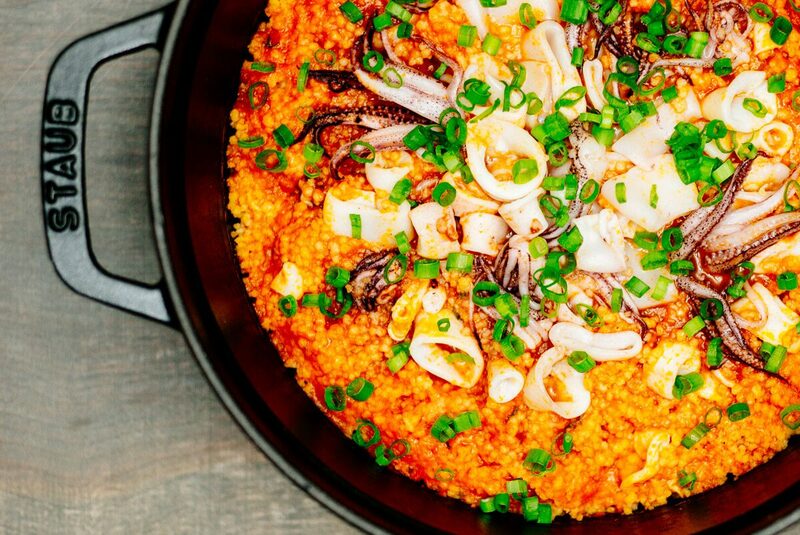 Toss the squid and tomatoes in olive oil, salt, and pepper. Fill each tube with mozzarella, but leave about an inch at the end. Secure each end with a toothpick to hold in the cheese. Heat a grill pan on medium-high heat. Add the squid and quickly sear on both sides. Be sure not to over cook the squid, only about 2 minutes per side. Add the cherry tomatoes so that they char and slightly blister. Finish with a pinch of salt and serve warm.